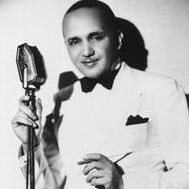 December 28, 1952 Fletcher Hamilton Henderson, Jr., pianist, bandleader, arranger and composer, died. Henderson was born December 18, 1897 in Cuthbert, Georgia. He earned his bachelor’s degree in chemistry and mathematics from Atlanta University in 1920. After graduating, he moved to New York City to attend Columbia University for a master’s degree in chemistry. However, he found his job prospects in chemistry to be limited due to his race and turned to music for a living. In 1922, he formed his own band which quickly became known as the best black band in New York. Henderson recorded extensively in the 1920s and 1930s, including “After the Storm” (1924), “Alabamy Bound” (1925), “Chinatown, My Chinatown” (1930), and “Down South Camp Meetin” (1934). Henderson started arranging around 1931 and his arrangements became influential, particularly those for the Benny Goodman Orchestra. Henderson was posthumously inducted into the Down Beat Jazz Hall of Fame in 1973. His biography, “The Uncrowned King of Swing: Fletcher Henderson and Big Band Jazz,” was published in 2005.